Very busy today and a lot to get through. Last night the Arsenal Supporters Trust held a Q&A with Ivan Gazidis at the Grove. More than 200 members of the AST attended and I was lucky enough to have bagged myself a ticket. I thought it was an insightful evening with lots of valid opinions shared in an open debate with the CEO, who I'm pleased to say took on every question and didn't shirk at from at least trying to answer those he found more challenging. It's obvious that Mr Gazidis is a shrewd operator and a man who already holds the values of Arsenal Football Club close to his heart. He trotted out some lines which were well rehearsed and frankly I thought he was disingenuous when answering a couple of questions where a more honest answer with what we all know to be the truth would have served him better. But overall I came away with the opinion that I liked him and he has the best interests of our football club at heart. A lot of the questions were aimed at the manager and his long term future at the club. Personally I found this intriguing and dull at the same time. Dull in the sense that Arsene Wenger still has the good will and support of the vast majority of fans that his position is far from untenable but interesting that the fans there last night wanted to know about any succession planning in place and what it would take for the club to get rid of him. Yes, seriously, some fans want to let go of the most successful manager in our club's history. 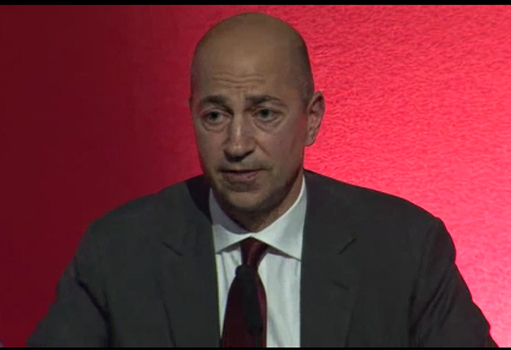 Mr Gazidis opened by giving a 15 minute address covering many of the areas he would face questions about over the course of the evening. Then the floor was open to questions, none of which were pre-submitted to the CEO, which as one member pointed out was more than could be said for the Arsenal Holdings PLC AGM where every question is scrutinized prior to the meeting. Below I've tried to cover all the questions Mr Gazidis faced. I've para-phrased most of his answers but where relevant have quoted him directly. If you have the time, the official site have released video of last night's session in two parts: the first half and the second half. Who was at fault for not renewing the contracts of Samir Nasri and Gael Clichy? - IG said he won't answer specific quesions on player negotiations. The club have to make assessments as to how much a player is worth and how much it is worth investing in different players. Do you invisage a time when you may have to remove the manager? - "That's one of those questions where I'm not going to give fodder to the media. "We 100% support Arsene. We're 100% behind him. I 100% support him and think he's done a fantastic job through what's been a difficult period for this club. Bare in mind we've been in competition with clubs that have essentially unlimited spending power. Other clubs like Manchester United generate far more revenue than we do and in that environment I think Arsene has done a remarkable job of making sure we stay at the top end of the game. At the same time we've got to acknoledge we've not delivered trophies and that's critical for this club. I've said that and Arsene has said that and that's what we're very focused on this closed season in making sure we can do that without further delay." Have we improved in the last two years? - IG thinks all clubs are moving forward in the past two years. The champions league is now the pinnacle of world football and there has been an increasing concentration of talen. We have progressed as have others but IG doesn't think we've moved ahead enough. Would the board consider removing the manager from the financial side of transfer business? Are we likely to see return of David Dein to the club? Why has the cost of silver memberships increased so disproportionately compared to other memberships and is there the possibility of having a safe standing area at the Grove? - Silver memberships do not reflect the true market value of what they are in fact worth and that's why they've been increased. - Supports the introduction of safe standing areas and will consider it as part of the ticketing review. Why are reserve team games played behind closed doors during the winter? - The coaching staff do not believe the facilities are not good enough to promote good player development at Barnet. Will Stan Kroenke introduce share dividens? Has KSE taken out loans to purchase Arsenal? - KSE will not load the club with debt and there weren't specific commitment not to take dividends but Mr Kroenke has not done so in the past. There are particle limitations on dividends in place because of our debt coverance. Is the self sustainability the way we're going to go for ever? - IG doesn't believe so. He believes FFP will see moderation in wage inflation however that could mean clubs willl drive more business and try and make more revenue from their fans but IV doesn't believe this is a responsible route in the long term. Transparency regarding the attendence figure and season ticket waiting lists. - Announcing sold tickets is the industry standard across the world. When fans see we don't sell out they want to know why there wasn't an opportunity to purchase those seats. IG said he would consider no longer announcing the attendence. However the club will be seeking to look at a better ticket exchange system and investing in technology so this will be possible. There is an extremely long waiting list. There has been an extremely low non renewal rate - one which IG considers could be unhealthy. The average increase was 4% but more for premium seats. Will Arsenal increase its involvment in community projects and is the club looking at the data it gathers to make use of it commercially? - The club is extemely proud of Arsenal in the Community and its work within prisions and hospitals. IG said the club has just completed its biggest ever data research project and now know more than ever about the mindset of supporters across the course of their life. This group of Arsenal players have a poor work ethic with little heart and desire to win but can do when they want to. - IG doesn't think heart and desire are the only things we need. We had a good away record which these player showed they had the heart and desire to win games at tricky places. But there have been moments where things went badly wrong but when it happens consistantly over time you've got to look at it and put it right. We perhaps lack the know how to close out games and do the ugly things well. How much money is there availble to spend in transfer fees and wages? Do club which take Arsenal players on loan pay their salary? - The fund AFC have is used to pay both the fee and the salary. The club have money in reserve and only spend when the manager feel he needs to spend. AFC plan heavily about how much money they are going to use from the fund. As for players on loan, each contract is different but in general the club taking the player on loan will pay the wages in full. Who is Arsene Wenger accountable to? "Arsene is ulimately accountable to the fans, that's who ulimately makes the club work. Fortunately that is the case. Fan power can do that. They could make it unsustainable for him to stay. I still think most of our fans support Arsene and i don't think we're anywhere near a position where he'd have to consider his position with the club. "Very clearly the board monitors what it is we have to do in order to have a fan base which remains engaged. And if we're losing the fan base there are all kinds of signs of that. We wouldn't see the kind of renewals we've spoken about earlier - we'd see a significant drop off in renewals. so there are lots of ways in which that can be monitored. You could have a manager who is successful in delivering trophies but plays in a style our fans don't want. It doesn't represent Arsenal in the way we want to be representated. In that set of citcumstances we might find that his position was unsustainable. I think Arsene has clearly delivered a style of play for which Arsenal is now known around the world and forms by the way a significant part of our commercial value when we go globally. This club is extremely widely respected around the world for the way it plays the game and that's of tremendous commercial value. But we haven't delivered trophies in recent years. "While you've got a core group of fans in this room that may believe they represent all fan's opinions, there will be differences of opinion in this room amoungst the fan group here. I think if you go beyond that into the stadium you'll find a difference of opinion amoung the 60,000 fans that reguarly come to our stadium. If you go beyond that to arm chair fans around the country there will be differences of opinion there and go internationally to our global fan base there will be differences of opinion there. I believe that we as a club know what our fans are thinking very well and follow closely across all of those fan groups. That doesn't mean that fan sentiment dominates that decision but if you are seeing that the relationship between the fans and the manager breaks down over time, that is of course unsustainable. I don't think we're anywhere near that. "If the question is who makes that decision. It's clearly the board of Arsenal Football Club." Arsenal should not become a training club where some of our players turn into world class players and are then sold on. - The spending levels of the club are an envy of our competitors. Does that make us better than them? No. But we are applauded for spending well. And we think very carefully about how our squad is put together. There are a number of mistakes we see the team and the manager make season after season, how will the board help rectify these problems? It's not just about playing staff, it's about the way they are coached. - You don't see members of the board or staff members inside the club in the kind of discussions which explode into the media. We are very together. Arsene is extremely supportive of his players pubically and you'll never hear him utter a word against one of his players in public. So it's easy to watch those post match interviews and think he's not clear sighted about what just happened. Arsene sees things very clearly and that doesn't mean he's going to speak about them publically. Equally in terms of conversations we have within the club, I've never found him to be the stubborn man he's potrayed to be in the media. He's open to be challenge and I don't inhibited to ask him difficult questions along the way and I don't feel he's unresponsive to input either. Equally we don't want people from our non footballing side telling our manager what he should be doing. Those kinds of discussions which go along inside the club I hope will never become public - that will be frustraing for our fan base because they don't see the ainks or anxiocy that they are feeling that they can latch on to and think someone feels like I do. We do feel like that but we are very contained in the way we discuss it because if we start talking about internal club business pubically then we'll end up in a spirial and the media will be delighted to pick up on that and make absolute hay with it and run with it. "I didn't say there wouldn't be changes to back room staff. I gave the answer I gave." Will Stan Kroenke continue to support the Arsenal Supporters Club and Fan Share? - KSE have said they will not delist the club. No expectation that SK will squeeze out small shareholders. I don't think ownership is the only way we engage with fans. We welcome fans who constructively challenge us. SK has had meetings with supporters groups before and will in the future. Is there a plan for when Arsene Wenger leaves the club? - I will not speak publically about things like plans for after Arsene because anything I say about that will be taken by the wider media and will not turn into a postivive story for the club. We're crying out for someone like Tony Adams to marshall and educate the players we have. Are we not in a position to emply someone at the club to teach our defenders to defend? - We are very clear about our failings last season and how we are going to address them. Is the stadium loan debt hampering the spending on new players? Would you think about asking each of our billionaire owners whether they'd be parepared to pay of the stadium loan in proportion to their stake in the club? - There are huge amount of money tied into leaving the deal we are in to pay off the stadium debt in full. It doesn't make any sense from a business stand point to pay down the debt because it is very sustainable for the club and it is not an inhibitor to the club's success. Have Mr Wenger or youself spoken to anyone about buying some new players? Are we any closer to anybody? - "I'm not going to answer that one. We've said it's going to be an active summer. I expect to be busy. Arsene expects to be busy. I feel positive about our prospects for next year. I think if we allow ourselves to get weighed down with the negativity that excised around the club at the end of last season we could forget a lot of the good things we had going for us." What difference are the overseas trips going to make? "I think China is going to be a great trip. I think that will be a great experience for the club and will begin the process of repositioning the club globally which will help us to generate commercial revenues that make our self sustaining business propell itself to another level and take some of the presure off this stadium as our prime source of revenue." Hopefully that has given you a taster of the evening. Overall it was very interesting and fair play to Mr Gazidis for turning up and facing up to more than 200 frustrated Gooners. And excellent event and one which the AST should be congratulated on organising. You can of course become a member of the AST yourself - just go to their website - and whilst you're feeling in the mood to join up, go along to Arsenal Fanshare and buy a bit of the club you love with a simple saving made each month. The Daily Mirror say Bolton believe Gary Cahill already has one foot out of the door and they are preparing their supporters for his departure. I'd image they'd like to start a bidding war for the player and £17m does seem too steep for a player with one year remaining on his contract. A cheaper option would probably be Christopher Samba, who according to the Daily Mirror we've already had an £8m bid rejected for. The defender is also of interest to Spurs. The Daily Mail say we're going to make a £12m bid for Gervinho and we're also making enquiries about Newcastle left back Jose Enrique. We've been linked with a move for 24-year-old St Etienne midfielder Blaise Matuidi. It's certainly not the first time we've been linked with him and probably won't be the last. He'll cost us £13m according to the Daily Mirror. Also in the Daily Mirror more guff about Cesc Fabregas going to Barcelona. However The Times (£) say Fabregas is prepared to go public on his desire to be allowed to return to Barcelona if any deal between the Catalan club and Arsenal hits the rocks. And finally, St Etienne forward Emmanuel Riviere says he's flattered to have been linked to a move to Arsenal - yes he's about to ask for a wage increase in his new contract and being linked to Arsene Wenger would not hurt his profile at all.